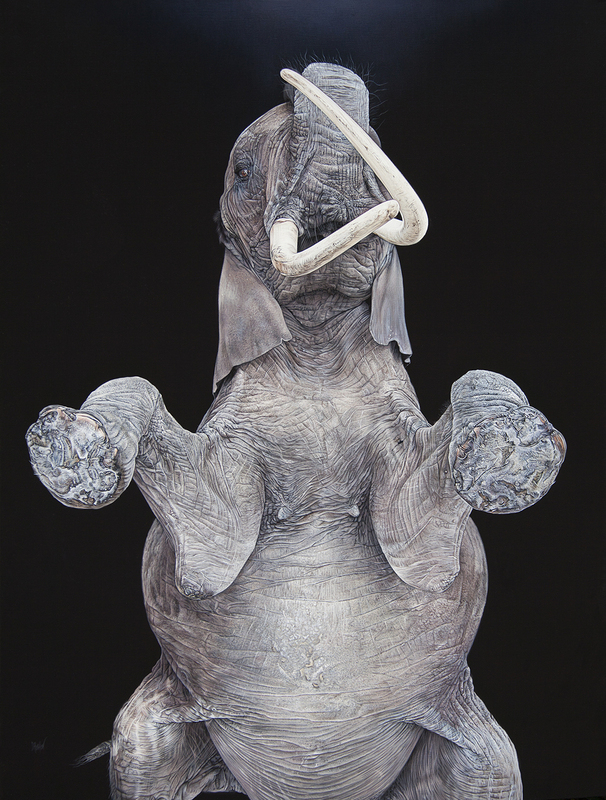 Christophe Drochon is a French-based artist, and he’s one of the most skilled painters in the hyperrealistic animal painting. 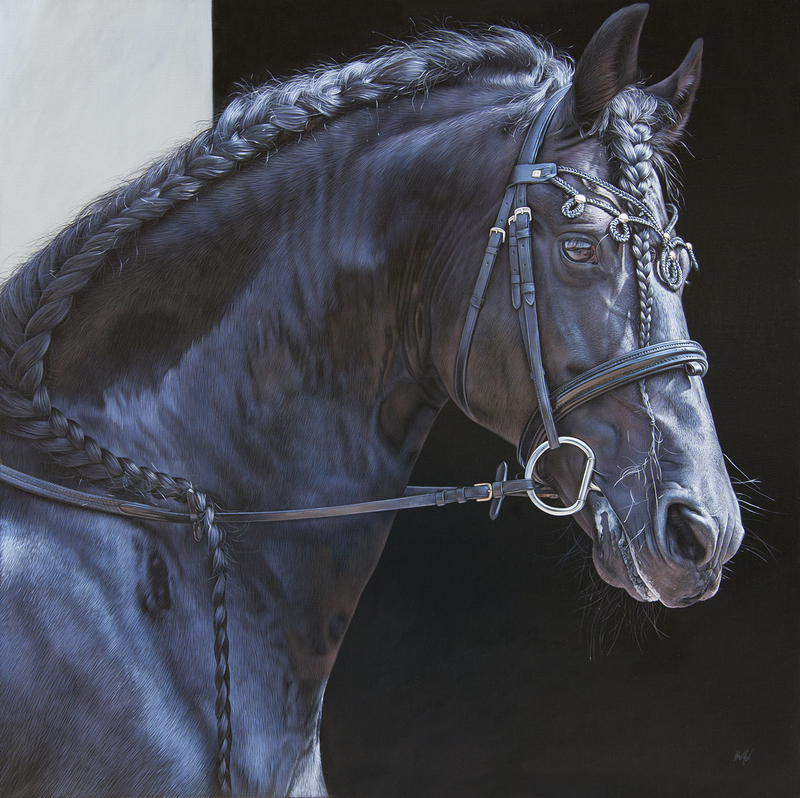 He realizes incredibly detailed animal portraits, but, as he told us in the interview for the first issue of Hyperrealism Magazine, in his paintings, the animal and the scenery are often used as symbols to express his ideas and to illustrate emotional events about his personal life. 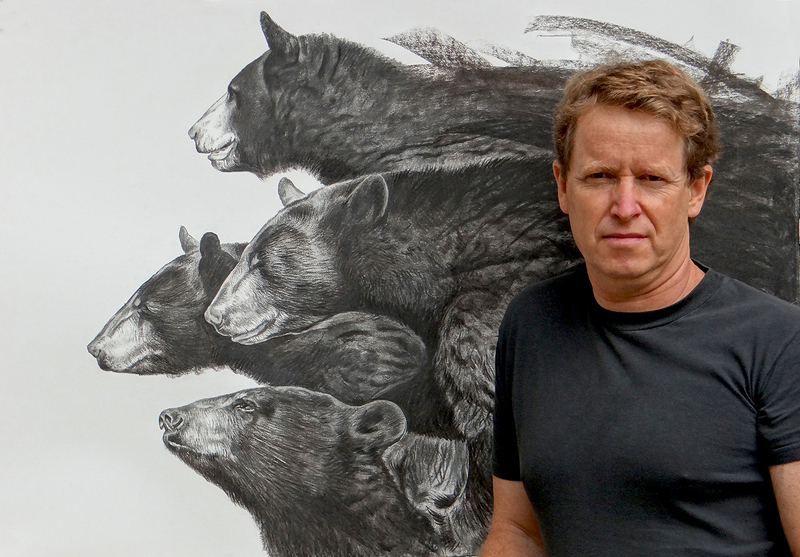 Many of his paintings are focused on the eye of the animal, in this way he creates intimate portraits to capture the soul of the wild and free natural world. He’s very sensitive towards the environment and the protection of animal rights: the most part of his art is made not just to share the beauty of nature, but above all to shake our conscience about the pretension of humans to prevaricate on the animal rights. Hyperrealism was born in America in the ’70s but in Europe it has been spread later and still today is not always understood. How and when did you start to get interested in Hyperrealism? I spent all my childhood painting as a figurative and realistic painter, in a traditional way, with round brushes most of the time, much closer to a form of impressionism. From 1985, I became a professional illustrator and I worked for advertising, publishers and cinema. At that time, the computer hadn’t arrived in advertising agencies yet. Many of the advertising creations, were made in paint, by using the airbrush. Advertising required so much quality in the execution of illustrations; the hyperrealistic images were handmade without high quality photos. It was necessary to be very precise. This period of 25 years was a form of “plastic turning point” for my creations.